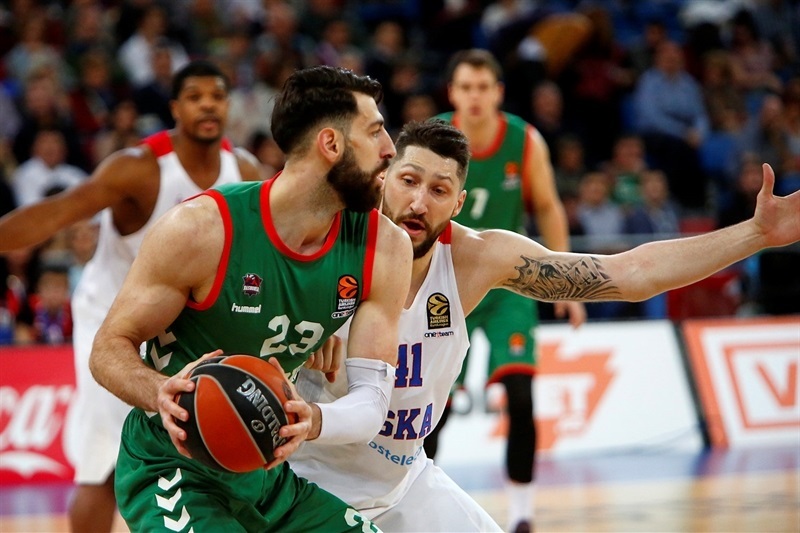 In a Game of the Week thriller that went down the wire, Baskonia Vitoria Gasteiz edged CSKA Moscow 79-78 on its home floor in the last game of Round 26. 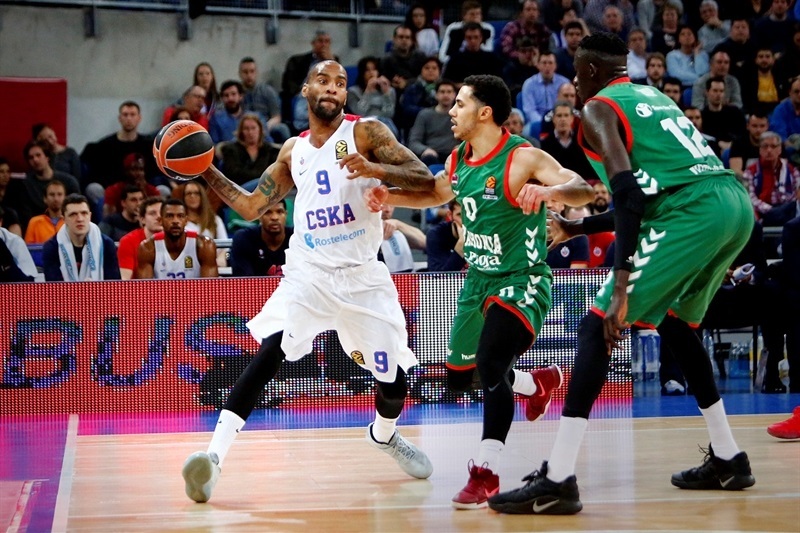 The win improved Baskonia’s record to 15-11 and the fifth-best in the league, while CSKA dropped to 19-7, but still shares the best record in the competition with Real Madrid. Neither team held a lead bigger than 8 points the entire night and it was Baskonia that was ahead 45-37 early in the third quarter. CSKA quickly caught up, but the hosts remained in front the entire time until James Augustine’s layup with 40.9 seconds to go, which gave CSKA a 77-78 lead. 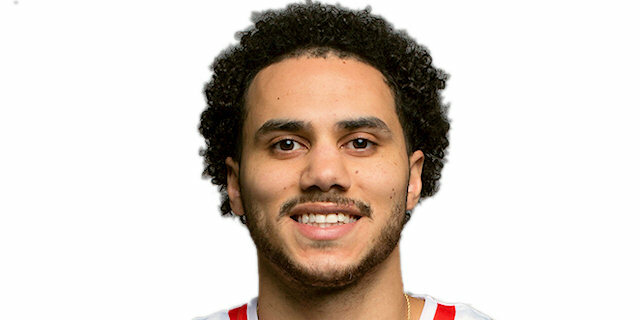 But Shane Larkin hit what turned out to be a game-winning jumper, and the hosts managed to force a turnover before running out the clock. 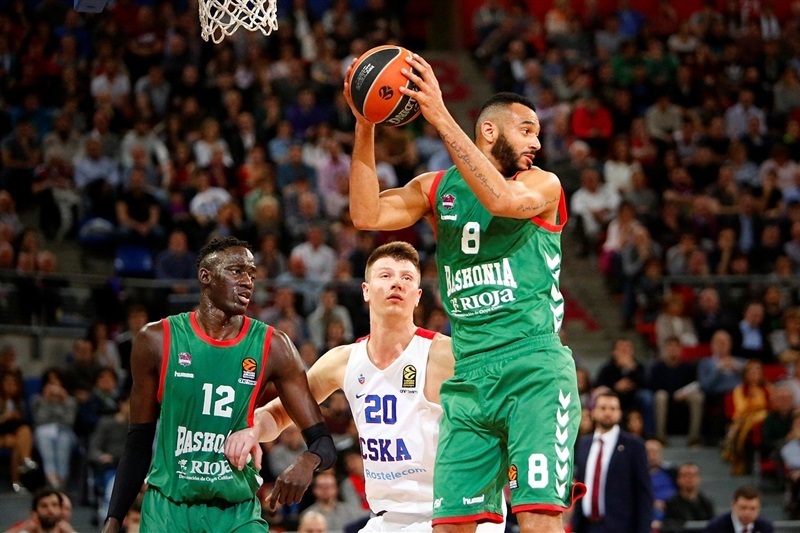 Adam Hanga had 15 points and 4 blocks to lead Baskonia, Larkin finished with 12 points, Kim Tillie scored 11 ,while Chase Budinger and Johannes Voigtmann scored 10 apiece, with the latter also pulling down 7 rebounds. Nando De Colo had 22 points and 6 assists, and Milos Teodosic had 19 points and 6 assists in defeat. Both teams needed some time to get into an offensive rhythm. Voigtmann had a jumper and a floater for the hosts, but a triple and a floater from Teodosic gave CSKA a 10-12 lead. Teodosic banked in another shot, but Tillie and Ilimane Diop each had a dunk to give Baskonia an 18-14 edge after low-scoring 10 minutes. Back-to-back triples from Andrey Vorontsevich and Vitaly Fridzon to start the second quarter put CSKA back in front, but Larkin and Tillie replied with a 6-0 run to restore Baskonia's advantage. It was time for a CSKA run, with De Colo hitting a three-pointer and driving for a layup in a 0-7 run, only for Hanga to score twice before Voigtmann slammed one home as the hosts scored the final 6 points of the half and took a 34-33 halftime lead. 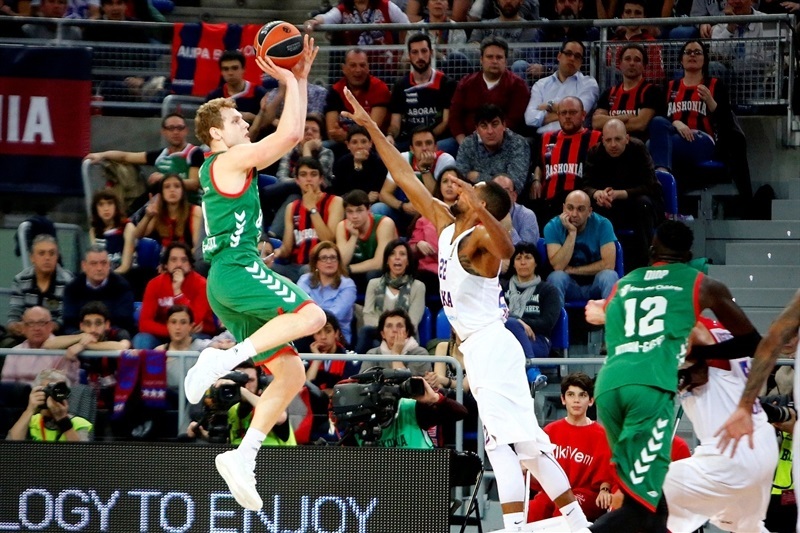 Baskonia missed all of its 6 three-point attempts in the first half, but at the start of the third quarter, Larkin and Hanga each hit a three, and Tillie had a three-point play as the hosts opened a 45-37 lead. But after a timeout, Teodosic answered with a pair of threes, and a pair of baskets from De Colo helped CSKA climb within 51-50. But Blazic and Shengelia each scored from long range late in the quarter for Baskonia to take a 61-54 advantage into the final 10 minutes. 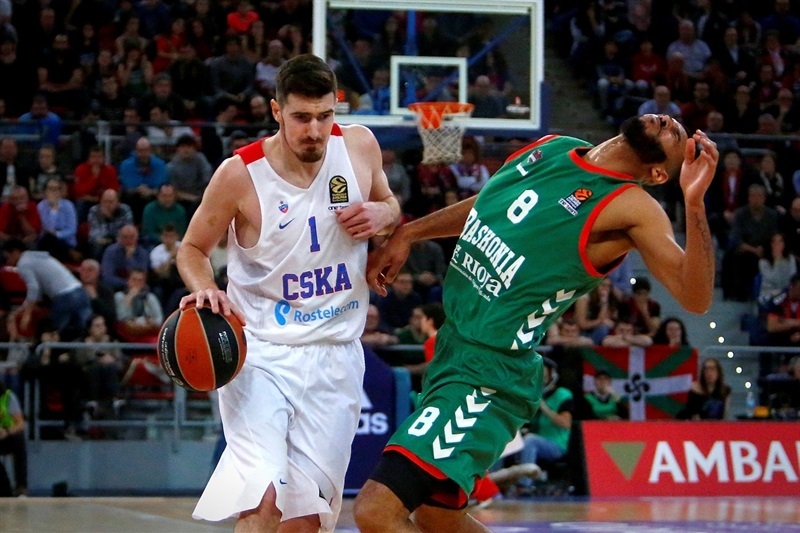 De Colo and Hines led CSKA in catching up, and a triple from Victor Khrypa cut it to 67-66. 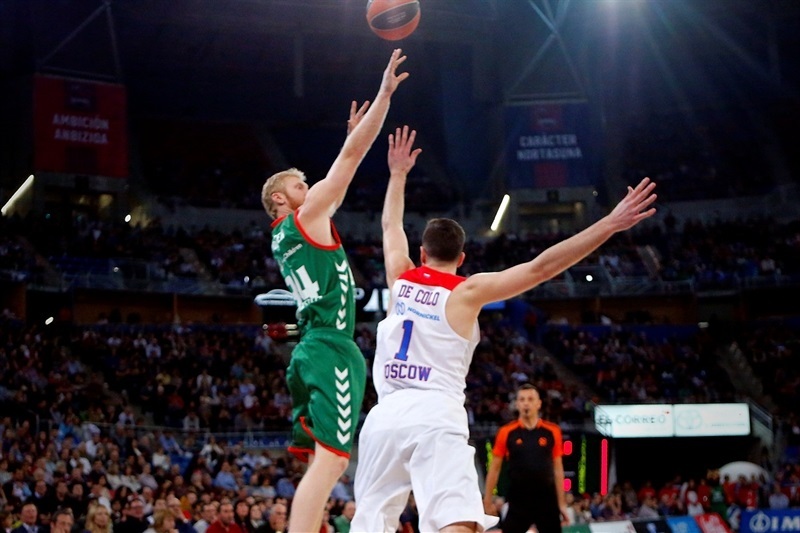 A pair of tough drives down the stretch, one from Hanga and the other from Larkin, gave Baskonia some breathing room, and Chase Budinger had a huge slam dunk. 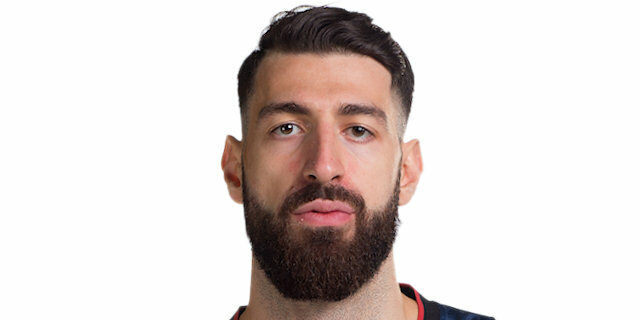 But Teodosic hit back-to-back three-pointers before dishing a bounce pass for a layup by James Augustine that put CSKA back in front 77-78 with 40.9 seconds left. After a timeout, Larkin nailed a long jumper as Baskonia regained the lead. 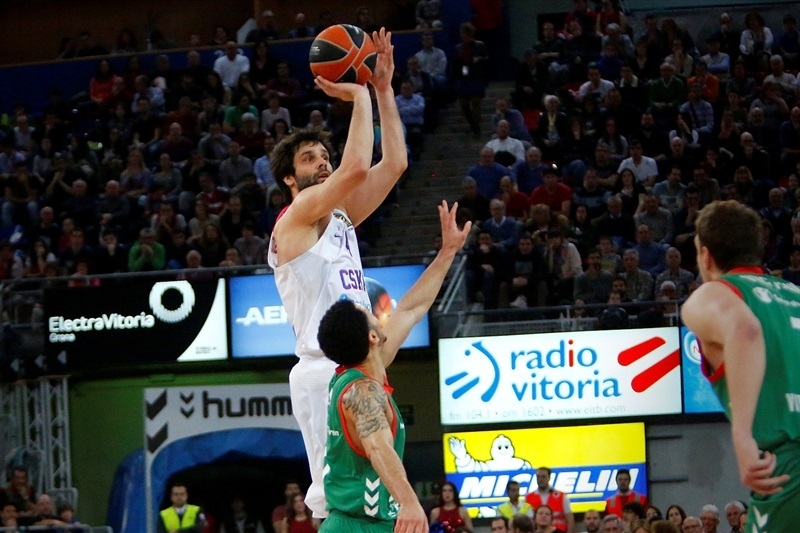 CSKA went down the court, De Colo missed a long jumper, but CSKA grabbed an offensive rebound. 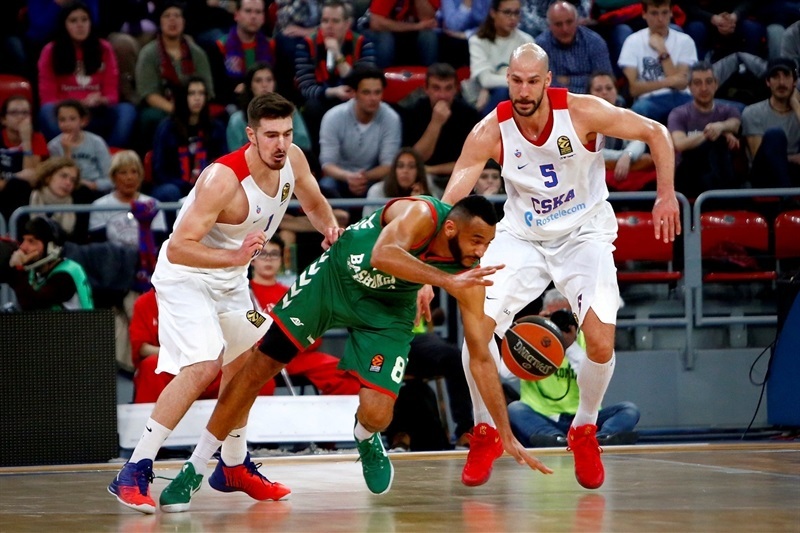 However, Baskonia forced Augustine into a bad pass and the hosts ran out the final 12 seconds off the clock, starting wild celebrations at Fernando Buesa Arena.
" Congratulations to the supporters. For me it was incredible. They knew perfectly how important this kind of game is and when we had problems during the game, they gave us a very good support which we felt. Maybe half of this win is because of them. Incredible supporters, incredible atmosphere. We had played well in some minutes, believing in our options. I think we did not score a lot, missed even some open shots, but we fought well and in my opinion we arrived in the last minute with game in our pocket. But we made two or three mistakes, some of them a little bit unlucky, and they are a very, very, very good team with a very good talent. But we deserved it. When I say we, I mean the arena, supporters and the team together. They believed, they deserved it, and we are very happy." 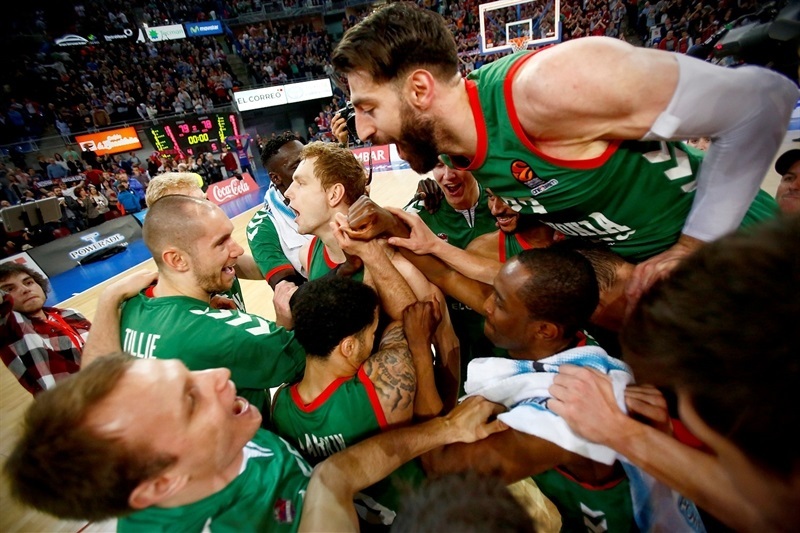 "Congratulations to Baskonia. The game could have gone either way. We could have won, and it would have been deserved, like it is deserved that Baskonia won. Obviously, it was a tied game; Baskonia controlled the third quarter, that hurt us a lot those 27 points we allowed. It was the only quarter they hit some threes, 4 of 7, but 10 offensive boards and 13 turnovers hurt us a lot in this game. Both teams had concentrated on defense and had good plans. The outcome could have been different, but it is what it is. We have to continue, we have two games this upcoming week to secure home-court advantage for the playoffs." 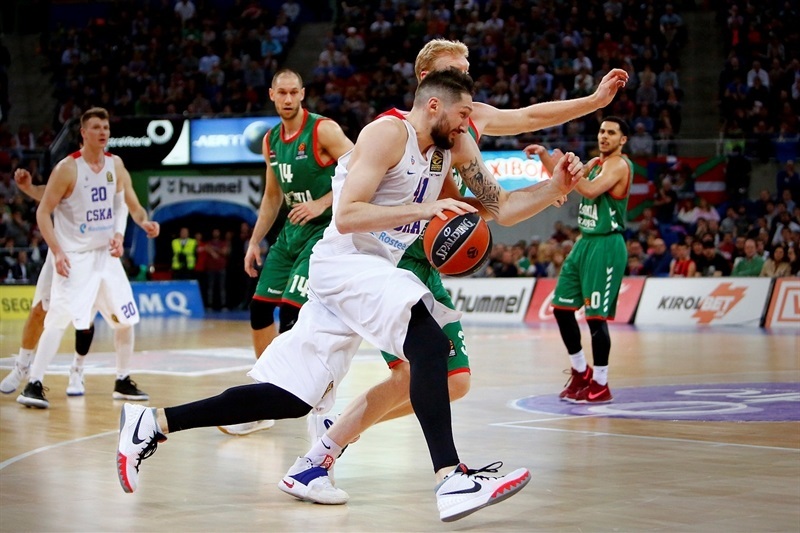 "I always said, when Baskonia is fighting until the end, we can beat anybody in this league. Our fans are amazing; every time we play at home it's like a celebration. Amazing atmosphere, they are our sixth man on the court. 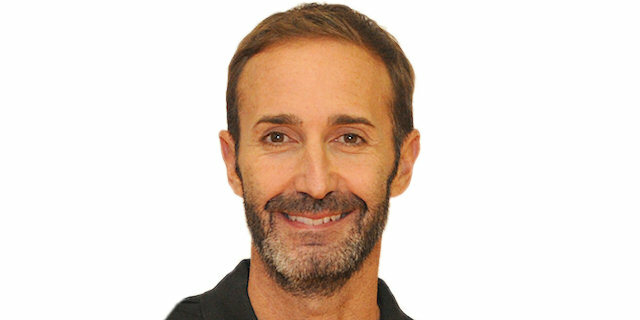 They help us a lot, and we appreciate their effort a lot."